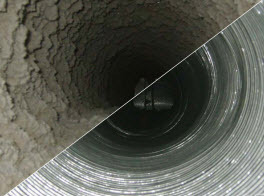 The experienced professionals at Green Co Carpet Cleaning are the experts when it comes to cleaning and maintaining the air ducts in your home or business. In addition to air duct cleaning, the experts at Green Co also provide a comprehensive list of additional services to improve the quality of the air that you and your family breathe within your home. Are you aware that dryer vent fires are one of the most common causes of residential fires within the United States? Our professional dryer vent cleaning services are guaranteed to improve the efficiency of your dryer and even more importantly the safety of the individuals residing within the home. Over time, your dryer vents and hoses become clogged with lint and other forms of debris. 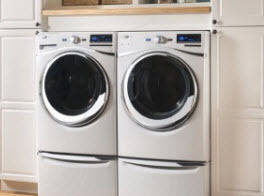 Once your dryer vent becomes clogged, your energy consumption will increase as your dryer strains to keep up with the task of drying your clothes. An increase in the dry time can be directly correlated to an increased risk of fire. At Green Co Carpet Cleaning we offer a quality carpet cleaning service that is highly effective in removing allergy causing dirt and debris. Our knowledgeable carpet cleaning technicians will arrive at the scheduled time with a deep extraction carpet cleaning system that is attached to truck mounted equipment and guaranteed to thoroughly clean and sanitize your carpets. 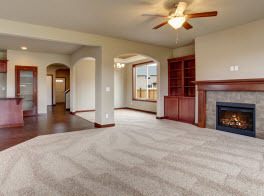 At Green Co Carpet Cleaning, our highly skilled area rug cleaning technicians can provide a quality cleaning service for all manner of area rugs including handmade items. Our technicians are highly educated and have a complete understanding of the entire cleaning process from start to finish including identifying the color stability and fabrication. We use quality equipment and cleaning solutions to ensure that you will be 100% pleased with the finished results. At Green Co Carpet Cleaning, our knowledgeable upholstery cleaning technicians offer quality upholstery cleaning for your home or business. We professionally clean sectionals, sofas, love seats, chairs, ottomans, headboards, and more regardless of size, color or fabrication. Our prices are reasonable and our service is first-rate. If you are interested in a thorough cleaning solution for your upholstery cleaning needs, you need look no further than the experts at Green Co Carpet Cleaning. At Green Co Carpet Cleaning, our mattress cleaning protocols are designed to remove dust and germs along with killing all traces of viruses as well as eliminating dust mites and their waste products. Dust, dust mites and their waste products are responsible for causing respiratory issues and allergies to infants and other individuals who are susceptible. 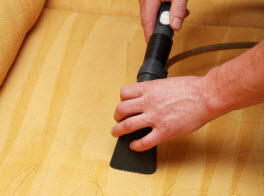 Our qualified mattress cleaning technicians will use a high pressure vacuum to remove all traces of dust mites before pre-treating the entire mattress and utilizing a low moisture extraction system for a complete and thorough clean. At Green Co Carpet Cleaning, our tile cleaning technicians will clean your tile and grout until it looks brand new. Our experienced technicians will inspect and evaluate the condition of your tiled areas looking for any discolorations or damaged areas. Once a thorough surface clean has been completed our technicians will utilize a specialized hard surface cleaning tool attached to a truck mounted extractor system that is designed to remove built up dirt, grease and soap scum. At Green Co Carpet Cleaning, we understand that unexpected accidents happen. If you have experienced Water damage caused by a burst pipe or broken dish washer, contact the experienced professionals at Green Co Carpet Cleaning for immediate assistance. Our qualified water damage restoration technicians are available 24/7 to take care of all of your water emergency needs. Our cleanup crews will expertly handle your water emergency using powerful water extraction equipment to restore your home or business to its former condition. For more information regarding carpet and upholstery cleaning services for your Greater Los Angeles, California home or business contact the knowledgeable experts at Green Co Carpet Cleaning today.